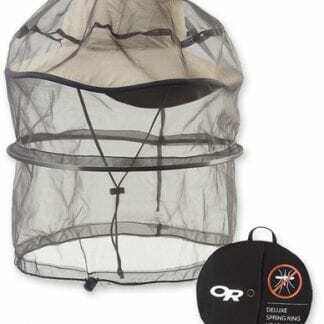 – An innovative, multi-purpose piece of equipment that is indispensable for nearly every outdoor activity. 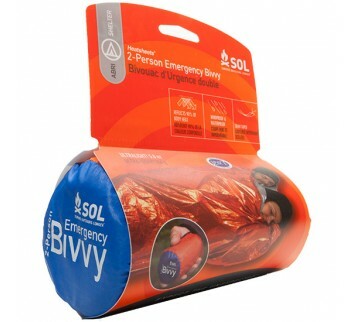 Originally developed as a survival tool for Swedish air force pilots, the patented Bivanorak is a bivy bag/sleeping bag cover, rain garment, portable windbreak, and emergency shelter, all in one – and all in a 580 g/1 lb 4 oz package. 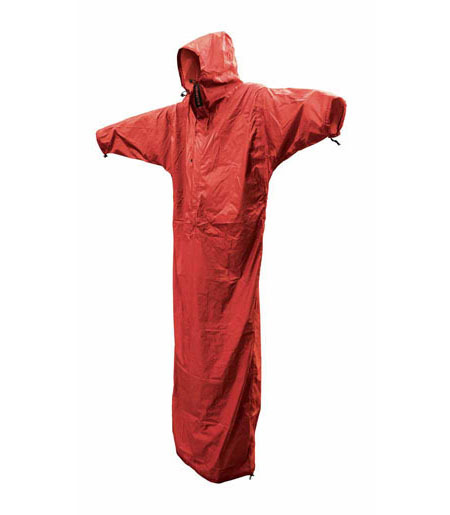 The Bivanorak is made from a lightweight, tough, polyurethane-coated waterproof breathable fabric and has fully taped seams. 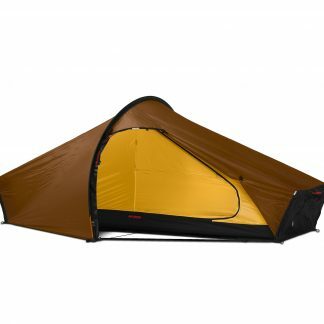 The Bivanorak is cut long and wide to provide room for both a sleeping bag and pad in bivy bag mode. 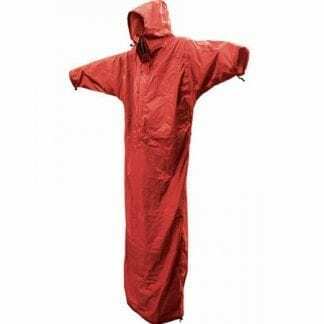 Its lower hem and cuffs have draw cords (those in the cuffs are elastic) which can be secured shut to keep warmth in and rain and snow out, and its long front zipper makes entry and exit easy. 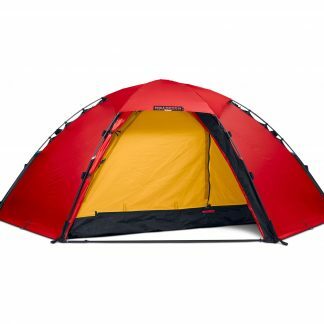 The large hood will easily accommodate the hood of a sleeping bag, yet it can be cinched tightly around your face. 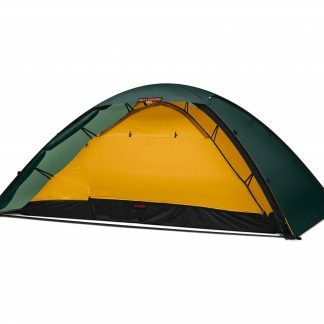 Combine a Hilleberg Bivanorak and Tarp to create a highly effective – and incredibly lightweight – shelter system.